In my earlier blog post, I alluded to candle lighting, but I did not elaborate on it. 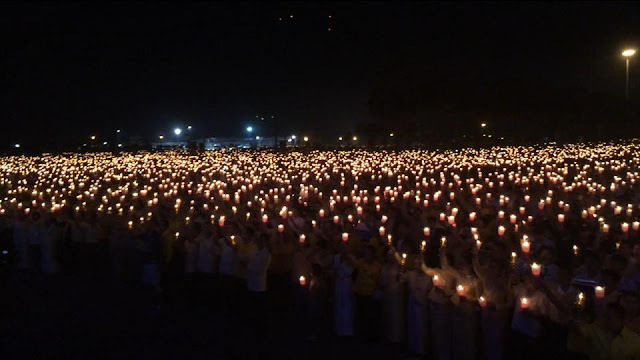 The candle lighting is important specially at the night of 40th anniversary of those 80 (or more) people who lost their lives and more than 250 wounded on July 23, 2016. In this post, I'm going to call your attention to some of its important aspects of lighting candles. I will explain why it is symbolically significant for Hazaras - and maybe others who sympathize with the cause - to simultaneously light candles in order to commemorate the lost ones' memories, while reemphasizing on their nonviolent movement against unjust and discriminatory policy of the central government. Symbolically, candle lighting is intrinsic to the quality of life, the very matter that the movement has based upon. It directly relates with the nature of our demands, and with our struggle against an autocratic management, which does not only listen to its citizens, but tacitly allows terrorists to kill our nonviolent protestors. At the night of 40th anniversary of those who perished in fight for their basic rights, and those who wished to bring changes in their country, let's light candles and remember them and their memories. With lighting candles, let the perpetrators and criminals, and those who blamed the victims understand that they perished our brothers and sisters, but their wishes and wills will not vanish from our hearts and minds and we will stand firm and steadfast in their/our ways and struggles together. Candle lighting is a powerful tool to fight the evil, the inner heart of the devil that is doomed to darkness. With candle lighting, we all go to war against evil, which Afghan government is a perfect archetype of all malevolences and hostilities against its citizens. It is evil because its policy is against general good, against peace and prosperity; and its evil because it benefits at the cost of its citizens. Let's all stand up against evildoers and devils until they fear us and flea from us. At this point, we can light candles and burn their darken heart in order conquer them. Let's all rise against injustice, and raise our voice against systematic discriminations, and with such a simply symbolic, yet powerful gesture, we send a powerful message to the evildoers that a sapling that is planted in the garden of our struggle for justice has watered with our blood shall never die.